Today it has been announced that Nintendo’s struggling little white/black box of gaming aka the WiiU has surpassed the lifetime sales of the Xbox 360 in Japan. More specifically, according to Eurogamer, the Wii U has currently sold 1,643,095 units in Japan, ahead of the Xbox 360’s lifetime total of 1,641,528. It seems that somehow Nintendo is managing to sell an additional eight or nine thousand Wii U consoles a week but with that said it’s still lagging behind the PS3 and the PS Vita which is really sad that the Vita outsells the WiiU. So, yeah the title, I should rephrase that: The truth is, it doesn’t matter a whole lot as it’s not really a big deal, even to Nintendo themselves Now, any positive news about Nintendo is good for the gaming industry as a whole and that matters but here is why it doesn’t matter all that much. Beside one small fact that Japan’s taste in games shouldn’t really affect your life in anyway; this isn’t much of a victory for Nintendo especially with the massive successful launch of the PS4 in Japan. The WiiU doesn’t exactly have the best homecoming entrance along the line of CM Punk in Chicago (That’s for all my wrestling homies) It’s once beloved (And still boring as hell) stable of platformers haven’t been well received in Japan with Mario and Donkey Kong not selling as well as their predecessors have done in the past. It doesn’t matter all that much because the pittance Nintendo is getting sale wise doesn’t turn things around for Nintendo as this is the one case where “Every little bit helps” is non-applicable. The WiiU’s killer app isn’t out yet, (Bayonetta 2, but it’s up for discussion) It’s spawn: The 3DS is out performing it like crazy and, it doesn’t even compare to when Capcom got out of their financial hole with Monster Hunter 4. Japan’s infatuation with the PS4 can be summarized as patriotic and baffling mostly seeing as the only reason the console did so well is because of the former and Final Fantasy as the latter and even though the Xbox One isn’t out yet, it’s failure is already predetermined if history is anything to go by. The US’s on the other hand is best summarized as petty, materialistic and trendy. Both consoles only sold well in the US because of pretty graphics and future promises that range from disappointing to never going to be fully realized. It’s Obama all over again. What’s special about them? It sure as hell can’t be the games. That’s for sure. The Xbox One/PS4 as they are now, have nothing earth shattering to offer that I can’t get from the Wii U and the PC and the 3DS. All this comes full circle when I get the biggest laugh from people telling me that both consoles are better…..have you considered stand-up comedy as a career? With that being said I still want and Xbox One and PS4 just not anytime soon. The most sad/hilarious point in the article is that the Vita is outselling the Wii U mostly because it houses all of those weirdo anime singing girl games and JRPG’s like there is no tomorrow. Poorly written piece with many many holes in it. Handhelds sell better than consoles in Japan that is a fact, PSP sold far better than PS3, PS Vita, will outsell the PS4. 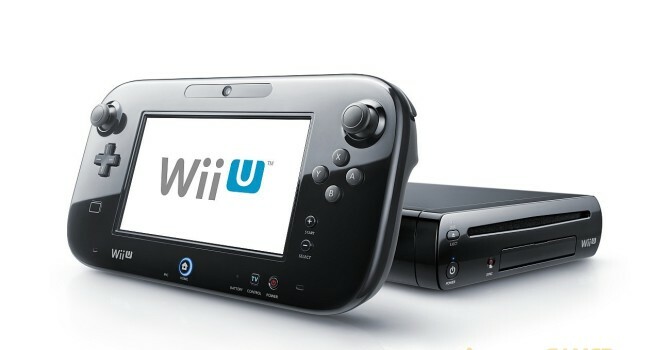 The Wii U sold the same about of Units as the PS4 did in Japan at its launch in 2012. The PS4 being a “massive” success in Japan is incorrect and not based on any data passed open week sales.